Tourists and expats alike typically spend a lot of time researching Costa Rica’s weather patterns prior to arrival. While it’s a tropical paradise with no winter, or drastic temperature changes in general for that matter, the country does have two distinct seasons. And without experiencing them first, there is a tendency to be apprehensive over the inevitable rainy season (also sometimes referred to as the green season). 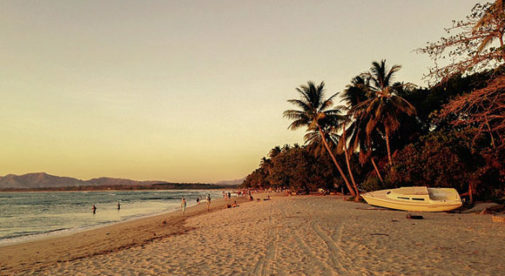 Many people are surprised to learn that the rainy season is in fact a favorite with expats, particularly those living in the Guanacaste region, where my home in the beach town of Tamarindo is located. While much of the material you’ll find online will tell you there is six months of dry, sunny weather and six months of rain in Costa Rica, it’s not quite that simple. First and foremost, the length and intensity of the rain varies widely depending on where you are. Guanacaste is by far the driest area of the country, and in recent years, really has only experienced intense daily rains for about two months out of the year (September and October). Although, rainy season does officially begin around late May and lasts until about mid-November. Aside from the occasional overcast rainy day, rainy season does not mean torrential downpours every single day in this region. Usually, short stints of afternoon showers are a more accurate description of what to expect, and sometimes, it’ll rain through the night providing the perfect ambiance for a peaceful sleep. 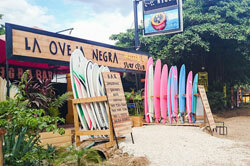 Rain or shine, Costa Rica never ceases to please its expat community. So why is rainy season the favorite season you may ask? I’ve also found you see more wildlife because again, it’s quieter and of course, all the flora is nice and lush, so food for many of the native species is plentiful. Bringing me to my second point, after the first couple of rains the landscape which is normally fairly dried out in this area, becomes vibrantly colorful. Flowers bloom, grasses grow, trees fill out with leaves, and you feel as if you’ve been transported into a scene from The Jungle Book. Remember, in some ways, Costa Rica is still very much a developing country, and during the dry season particularly in Guanacaste there can be water shortage issues. If there is enough rain during the green season, these issues pretty much cease to exist, making everyone a little happier and more at ease. I also find that the weather in general is pleasant during this time of year. While some days the humidity can rise, there are also plenty of days where the temperature drops—not a lot—but just enough to feel refreshing, coupled with the nice breezes this season brings. Think low 80s F versus low to mid-90s F. Plus, when you have sun nearly every day of the year, the occasional overcast day isn’t a bother. I find rainy days to be a unique opportunity to enjoy some comforts that aren’t a daily norm here. It’s not often that I feel like lounging around in the house, just reading a book or curling up to watch a movie with some popcorn…because by and large, it’s usually gorgeous outside and I want to be out and about. But the occasional rainy day brings a comforting sense of calm and relaxation.